European Autowerks is happy to provide loaner vehicles to our customers. Some exclusions may apply. Please give us a call with any questions you may have about this service. One of the best warranties in the business is offered right here at European Autowerks! We've got you covered and will ensure you are safe back on the road. We know how important it is that your vehicle is in the right hands. No need to worry! Our employees are all factory trained and experts in YOUR vehicle! I drive past 4 european/Mercedes service centers on my way to European Autowerks." European Autowerks was founded in 1992, when Charles Cesil and Gary Wheeler left Phillips to pursue their dream of owning their own business. They rented a small shop behind the fabric store and went to work, creating a business based on honesty and integrity. They believed then, and still do now, that every customer deserves quality and personal service at a fair price. European Autowerks has expanded and now occupies the entire building they started in. They provide expert Bumper to Bumper service on all Mercedez-Bens automobiles from 1980 to present. European Autowerks is proud to offer a wide range of services on your vehicle. Although we specialize and mainly work on European vehicles, give us a call and ask if we can work your vehicle as well. 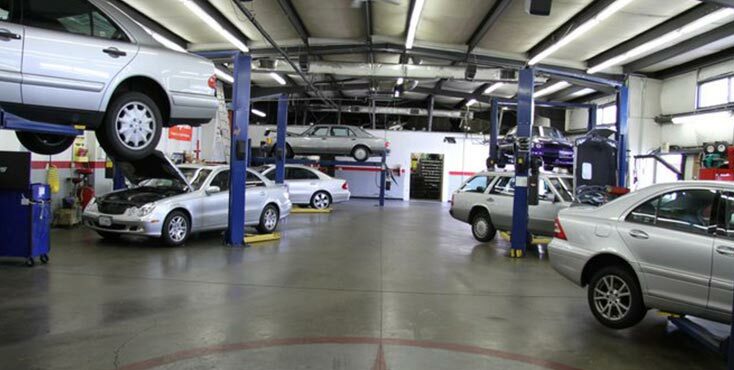 Call us for service on your Mercedes, Audi and Volkswagen today.